Do fear and safety go hand in hand? Consider air travel. An estimated one in 15 Americans has a crippling fear of flying, and a quarter of the U.S. population reports being nervous about flight. Of course, aviation is just about the safest mode of travel in the world. The average American is 1,330 times as likely to die in a car wreck as in a plane crash. But all the statistics in the world can’t dislodge the deep anxieties many feel about flight. 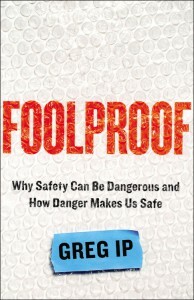 In Greg Ip’s widely covered new book, Foolproof, the Wall Street Journal economics columnist explores why that sense of risk heightens the safety of air travel. Because of the high profile of crashes (which is due in large part to their rarity), all parties in the aviation sector have strong incentives to improve safety continuously. Ip quotes organizational behavior researchers who describe aviation favorably as having a “preoccupation with failure” in which participants are “being a little bit scared all the time.” From pilots to mechanics to air traffic controllers, everybody involved in moving passengers and cargo by air works with the whiff of potential catastrophe under their noses—achieving a supremely safe track record. Ip’s goal, then, is to identify the right balance for foolproof systems—those that preserve just enough risk to keep people on edge without allowing fear to inhibit progress. Striking that balance in the financial sector is perhaps his trickiest challenge. Banking is the only sector Foolproof covers that does not involve life-or-death decisions. Financial crises are costly and damaging, but they do not inspire visceral fear or cause bodily harm in the same way that car wrecks, concussions, fires and hurricanes do. “The optimal failure rate in banking is not zero,” Alan Greenspan once said—whereas the optimal failure rate in the other sectors Ip examines edges much closer to zero. Perhaps this is why Ip’s recommendations for foolproofing banking regulation are a bit flat. He recommends more “space,” a greater margin for error, as a useful mechanism that for banks comes in the form of more capital and liquidity. Ip points out that regulatory engineering of risk management practices often fails, as with the “London whale” trades, but a strong capital cushion still protects the bank. Yet, too-high capital requirements put banks at a disadvantage, driving risk to the shadow banking sector. “Preventing such slippage requires constant vigilance,” he correctly notes before breezing on. One wishes for more on striking this balance and what it looks like for capital. A theme Ip also mentions but that warrants further attention is the danger of assets considered safer than they actually are. False confidence in safety puts us in the worst kind of peril, and even straightforward capital structures make fundamental risk judgments about different asset classes. Mortgage-backed securities were considered less risky than they ought to have been during the last crisis; what about Treasury bonds in a U.S. sovereign debt crisis? Foolproof reveals how many attempts at risk mitigation have shifted or even amplified risks. It’s a fascinating read for anyone interested in an overall approach to risk management. 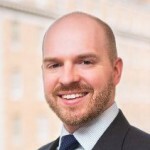 Perhaps for his next act, Ip can dive deeper into how banks can strike the right balance.